Originally published in En Marcha, organ of the Marxist-Leninist Communist Party of Ecuador, 03/02/2018. Morales represents a self-described government of the left but finds himself handed over to right-wing forces. He uses a progressive discourse to deceive the masses. Last week in Bolivia the Mobilized Civic Strike developed with the participation of social and popular sectors such as city and rural workers, teachers, students, traders, women’s movements, youth, environmentalists, professional, and political organizations. This day of struggle was fulfilled one year after the referendum of February 21, 2016, in which 51.3% of Bolivians voted “NO” to the amendment of Article 168 of the State Constitution, which would make way for to the indefinite reelection of Evo Morales, his vice-president Álvaro García Linera and other officials. The day was successfully completed with the closure of roads, marches, rallies, plantings, closing of shops and offices, and with educational work and transportation suspended. The inhabitants of the nine departments of Bolivia rose up to reject Ruling Number 84 (2017), issued by the Plurinational Constitutional Court, that, arbitrarily and in violation of the mandate that resulted from the popular vote in the 21F referendum, enables Evo Morales to participate in a new re-reelection. 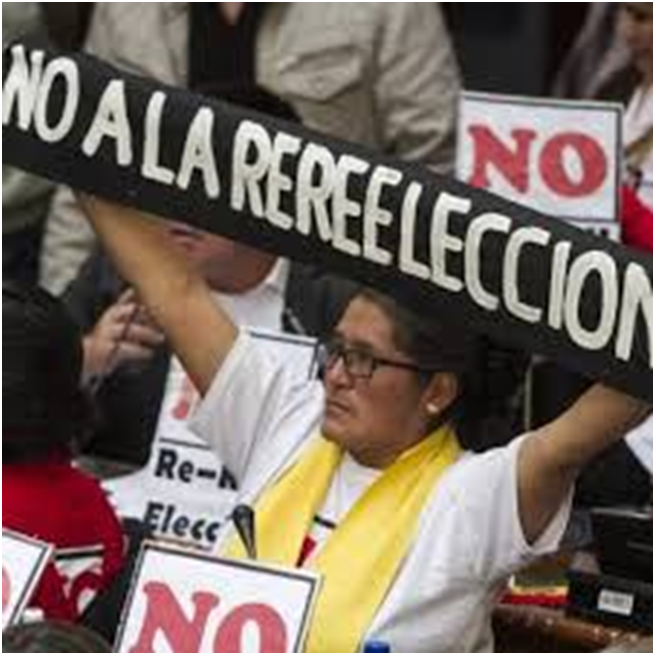 The demonstrators united in the slogan “Bolivia said NO,” and “NO means NO”, demanded that the sovereign people’s mandate be respected and complied with. In addition, they demanded compliance with the execution of the electoral offers and the satisfaction of the main needs of the population, which after of 12 years have still not been resolved. Groups related to Morales and his ruling party MAS (Movement towards Socialism), concentrated in some places to give their support to the regime and indefinite reelection, with the slogan “Evo Again;” however, it should be noted that there is a change in the correlation of forces, and that they are currently a diminished and discredited force. It could not be otherwise, as several cases of corruption have been reported, problems such as poverty and lack of employment continue, there are constant questions to his anti-popular and repressive policy, such as the application of the authoritarian Penal Code, and the continuing break up of social organizations. Morales represents a government erroneously called “socialist” who, using a democratic, progressive discourse and with the support of popular sectors, came to the presidency but soon after obtaining it, surrendered to the arms of the right and the dominant economic groups.